Home News Universal Credit: time to treat property as the investment our society sees it? Ashley is Chief Executive at Commonweal Housing. There has been much Twitter-chat in recent days about the costs and impact of Universal Credit. Many calls have been made to the Chancellor to provide additional funding in the forthcoming budget, in order to reduce the impacts on those likely to see substantial falls in their total income. The latest indications are that the full roll-out will again be delayed as the Government continues its slow and steady implementation. Department for Work & Pensions Secretary Esther McVey talked about how the Government had had to make tough and brave decisions to balance the books in their austerity drive; and tough decisions are what we want and need our governments to make. That last sentiment is probably true – but in response to this, much of my Twitter feed has been overflowing with people reminding Ms McVey that tough decisions should also be fair decisions and that it is not so tough to take decisions that you know will have most impact on the poorest members of society, those that have little voice or influence in your day to day. It could be said that that is not tough decisions and fair Government but is rather tough luck on those affected! However, I am pleased to say that beyond the usual trolls and disdain on Twitter, there have also been one or two positive ideas that this (or any other Government) might wish to consider. Yet, these actually are very BRAVE decisions and ones that are unlikely to be taken into account by current politicians. The issue being if property ownership is seen primarily as a financial investment – which it is in this country – we should treat it as such and tax the unearned income and equity growth accordingly. There should be capital gains tax payable on the increased value at the point of sale of all homes not just second or buy-to-let property. Why do we place a barrier in terms of Stamp Duty on entry to home-ownership when those already on the ladder reap all the benefits? Declaration of interest – I am fortunate enough to own my house in the south east of England (indeed neighbouring the Chancellor’s own constituency), I have lived in it for more than 10 years and its ‘value’ is significantly greater than the price I paid (and the outstanding mortgage). Yes, I was lucky enough to be able to stick a small extension on the side and we put in a new boiler a few years ago which hopefully added some value. However, the obscene increase in value is nothing to do with me – it is a function of simple supply and demand economics – not enough homes are being built in my area to meet demand. It is also a function of the millions of pounds spent on rebuilding the local secondary and primary schools; the investment in the rail service to my station and the publicly funded new sports centre, athletics and football stadium making the area even more attractive. I have done nothing (other than pay my taxes) yet I will reap the huge benefits if and when I sell. Taxation of such unearned income (suitably off-set appropriately where individuals have invested in their house within say the last 5 -10 years) at say a basic income tax rate of 20% seems fair to me. Let’s not forget that any trading up of houses will not be adversely affected as the seller too would also face a similar tax bill. There then becomes an inbuilt desire therefore perhaps to not talk up our house values to quite the same degree. No doubt the chattering classes of Islington or Tunbridge Wells can find some other topic for dinner party conversation. Recent Government initiatives to help access home-ownership, such as Help to Buy, without significantly ramping up new supply only fuels greater house price inflation putting the dream further out of reach. 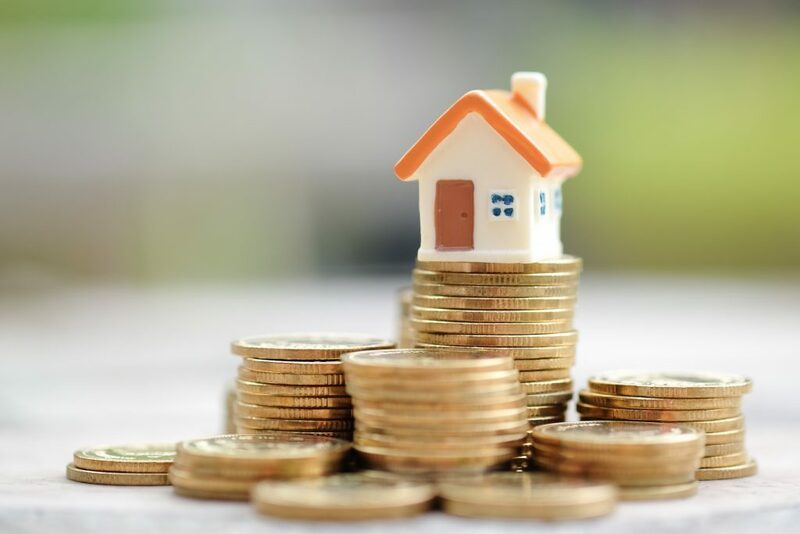 This and many other Governments have for many years relied upon massive equity growth for homeowners to enable reductions in spending on things such as pensions, retirement or long-term social care; day time telly is full of adverts for equity release services. Really treating housing as the investment vehicle that the British psyche sees it as would truly be a tough and brave decision but one perhaps fairer than decisions to cut benefits and income for the poorest in society. Such a suggestion is not about punitive taxation but is surely progressive taxation and takes homes, and especially home-ownership, to where it should be: a great option if right for you but an option that does have costs. It is not of itself forcing those that are asset rich and cash poor to pay taxation now – the capital gains are only payable as part of the sale – i.e. when there is cash in the system. Once a truer cost of home-ownership at a societal level becomes clearer, perhaps more people might then perceive renting as an appropriate economic alternative which in turn might start to shift the dial on the stigma of those that rent whether privately or in the social sector. Colleagues tell me this will never happen – turkeys voting for Christmas is the standard response. I would love to think politicians are not turkeys but are genuinely willing to take brave and imaginative decisions. Here’s hoping.